Plaster model of Christ painted brown. This is about 1/8th scale. 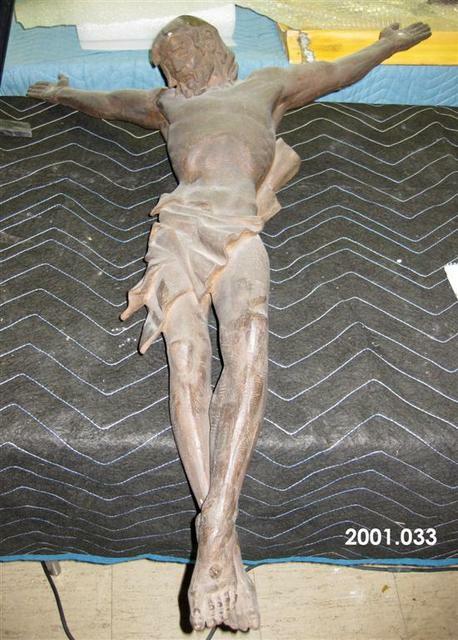 Fredericks, Marshall M., 1908-1998, “Christ on the Cross, Small-Scale, [Plaster],” Marshall M. Fredericks Sculpture Museum, accessed April 20, 2019, http://omeka.svsu.edu/items/show/7397.